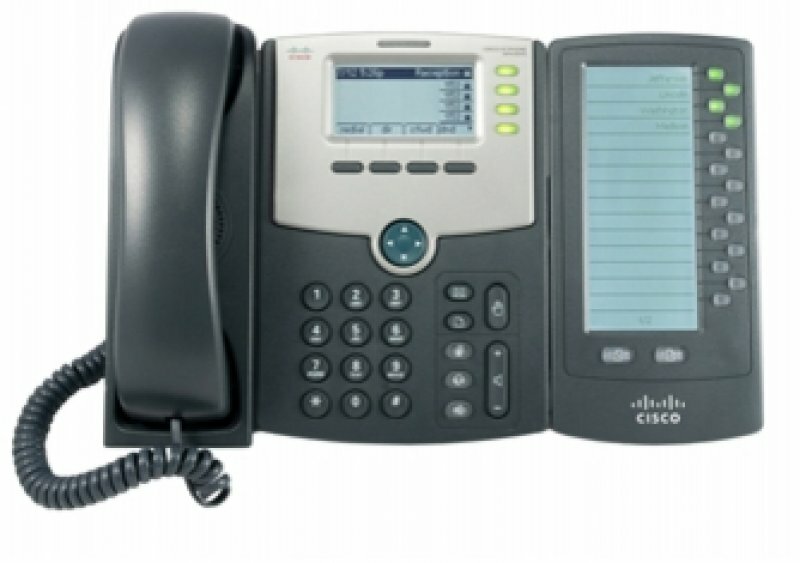 Is part of the Cisco Small Business Series and designed for use with the Cisco SPA500 Series IP Phones. The attendant console easily attaches to a SPA500 Series IP Phone, providing up to 30 programmable call pickup or speed dial buttons via two page keys, each illuminating the line's status (idle, ringing, busy, or null) via the busy line field (BLF). The modular design of the Cisco SPA500DS permits up to two attendant consoles to be deployed, for a total of 30 buttons (60 functions), offering an affordable solution that expands with the growth of your voice network. Installation and setup is just a matter of connecting the supplied bracket and cable to the attendant console, which uses the phone's power supply; no additional power source is required.